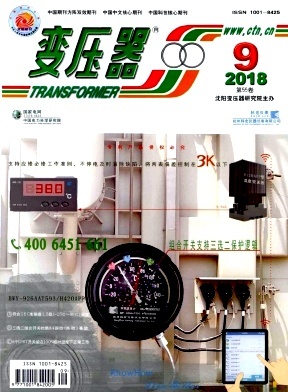 Research on Key Technology in Performance Improvement of Large Capacity UHV Transformer ZOU De-xu;QIAN Guo-chao;JING Yong-teng;PENG Qing-jun;YAN Bing;LIU Guang-qi;Electric Power Research Institute of Yunnan Power Grid Co. Calculation and Test Data Comparison of Winding Temperature Rise of UHV AC Transformer JI Wei;JIANG Shi-hua;XU Lian-huan;Shandong Power Equipment Co. Analysis of Influence of Tertiary Winding Operation Mode on Parameter of Power Transformer OU Xiao-dong;OU Qiang;HUANG Yi-zhi;HAN Hua-feng;PAN Yi;DING Rui-qi;Datang Guanyinyan Hydropower Development Co. Comparison and analysis of heat dissipation between Paper Wrapped Ttransposed Cconductor and Mesh Strapping Transposed Conductor LI Hua-chun;LIANG Zuo-de;ZHANG Zong-jun;ZHANG Zi-meng;ZHOU Yan-ping;Shandong Luneng Mount Tai Electric Equipment Co.
Research and Analysis of Short-circuit Test for True Model of Power Transformer LI Xiao-rong;OU Qiang;ZHANG Xiao-bin;LI Ying;LI Zhong-xiang;FAN Xin;TBEA Hengyang Transformer Co.
Research on Quality Early Warning System Based on Distribution Transformer Manufacturing Cost Model WANG Yi-zhe;LI Yi;ZHANG Jing-wei;LI Zhi-xin;LI Ling;WANG Jun;State Grid Materials Co.
Transformer Winding Fault Diagnosis based on Correlation Dimension LI Shu-qin;CHEN Ding;QIU Qun-hui;SHI Jian-li;XU Wei-ming;CHEN Zhao-quan;Jiaxing Hengchuang Electric Power Design Institute Co.
Law and Application Value of Phasor Analysis of Transformer Winding Connection YANG Yan-nian;ZHOU La-wu;CRRC Zhuzhou Locomotive Co.